Selected summer truffle ( Tuber aestivum Vitt. ) preserved in brine. COLOR:Balls of various sizes black in the colour. Wrinkled and thick. skin. INGREDIENTS: Summer truffle ( Tuber aestivum Vitt. ) 80%, water, salt. USEFULL INFORMATIONS: Use in the same way as the fresh product, preferably by gently frying in extra virgin olive oil and a crushed garlic clove, making sure the preserving juice is used too,, either on its own or integrated with champignon mushrooms, extra virgin olive oil or butter Use preferably by intergrating with other sauces and/or creams made of truffle. As a condiment for first pasta courses; omelettes, meats crostini,for pasta or meat dishes. 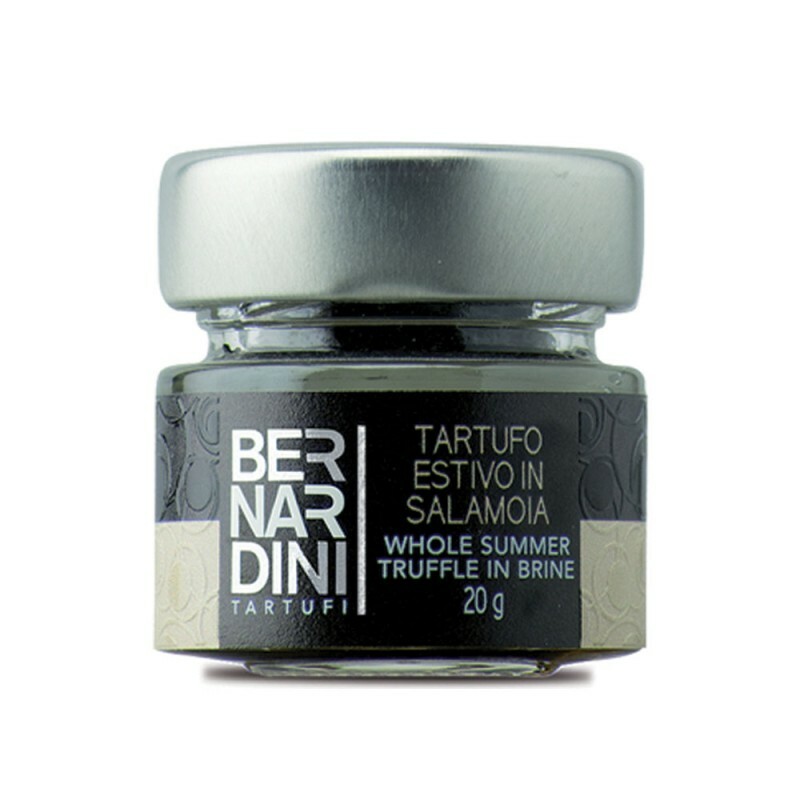 TASTE: Delicate and light taste of summer truffle. PRESERVATION: Months room temperature. Store at room temperature far from direct light and heat sources. Once opened keep in the fridge at temperature 0/+4 C° and use within few days.